These days, "worship" indicates anything from a musical category to a scheduled moment in church. Pure hearted and relevant sub-definitions for sure, but as Oklahoma-rooted singer/songwriter Jami Smith has learned, worship is more ultimately the actual experience of falling in love with the Creator; a repeatable process of losing self and finding complete soul satisfaction in obedience to God. Smith humbly explores that theme in depth on her new Hosanna! Music release, Wash Over Me, aiming to submit her heart, mind, and entire life to the Lord on urgent acoustic praise folk/rock songs like "Only You Satisfy." Sonically, she blends Melissa Etheridge-like vocals with energetic, concert-ready playing, and has earned respect from journalists, churches, and worship music fans around the country. "As a worship leader, I try to lead by example," she explains. "I do not want to be an entertainer, because worship is not meant to be entertainment, but rather a place and time where, together, we seek to be in God's presence in order to actively participate in honoring our Father with our words and attention." Indeed, being in the spotlight was never on Jami's short list of goals. Growing up in the Sooner State towns of Chickasha and Shawnee, she blended in socially at church and school, studying music education, though not planning to make the stage her workplace. But then a staff minister at Oklahoma Baptist University asked Smith to join the campus worship team during her sophomore year. "We began to plan how we could get students on our campus involved in discovering the joy of adoring the Lord through song and prayer," she remembers. "I learned a great deal from that experience...I began to see our campus start to embrace corporate contemporary worship, and it was exciting." Soon, worship became Jami's passion. She spent three consecutive summer breaks working for LifeWay Christian Resources at Centrifuge youth camps where she often led worship and was also continually challenged by peers to grow in her commitment to Christ; a priority she still chips away at on the title track of Wash Over Me. Spiritually and creatively inspired after graduation in 1993, Smith weathered that awkward moment when a child tells her parents how the college education they've just funded has not resulted in a burning desire to go out and get a "real job." Gracefully, the budding worship leader's mom and dad approved of her new dream to travel and minister among students everywhere. In truth, a new education was just underway as Jami started leading worship at youth retreats, in churches, and on college campuses. Thrilled to be in new places with new people, she still struggled with loneliness coming in and out of different places week after week on her own. "With hindsight, I realize God was teaching me things that were eventually going to strengthen my relationship with Him," she recalls. "He taught me that He is my sweetest company and my truest companion, (and) He also blessed me with new friends who challenged me both spiritually and musically." By autumn 1994, with a growing fan base and the trust of student ministries from Indiana to Texas, Jami headed back to Oklahoma to record her first independent album in a daycare center that some friends were using as their studio outside of regular business hours. It was an exciting creative time for everyone involved; Smith honed her songwriting skills, and those studio friends have continued playing together as the Dove Award winning group Mercy Me ("I Can Only Imagine," "Spoken For"). 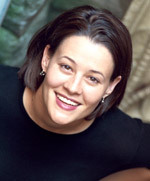 Music and travel - sometimes overseas - increased, and by 1998 Jami had her name on grassroots worship projects. It wasn't long before Vertical Music signed Smith for wider distribution, releasing her breakthrough self-titled set in 1999 and the increasingly mature Home in 2001. Today, Jami Smith travels full time, honored to lead others like her into a deeper life of worship. "My heart really goes out to young people who are struggling with the pressures of their world, and my desire is to help them see the One who has overcome this world," she says. "I want to show students the love of God. I want to help them realize He is our Creator, and He has made us to be worshipers. We get confused. We often worship everything and everyone else." Staying true to her now characteristic Spirit-driven performance roots, Jami put a fresh twist on Wash Over Me, recording it live in the studio, playing in the round with top musicians like guitarist Kenny Greenberg (Ashley Cleveland, Nichole Nordeman) and Steve Brewster (Steven Curtis Chapman). The end result is a combination of flawless musicianship and uninhibited worship, with several cuts soulfully stretching beyond six minutes in length. "What a freedom I have found in being able to express myself to God in this way," Smith declares of her work in general. "I enjoy singing to God and being challenged to live the words that I sing." Check the price or buy Wash Over Me from songs4worship.com! David Schrader is a freelance writer who lives in Nashville, Tenn.